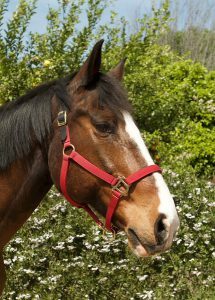 Clyde was foaled in 2003 and is a super darling warmblood who has been there and done that. Has a wonderful disposition and benevolent kindness. He is a permanent Red Bucket resident.